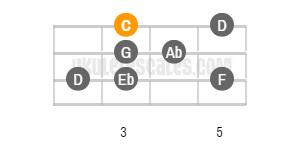 The Aeolian mode is the sixth mode of the major scale and it corresponds to the natural minor scale. 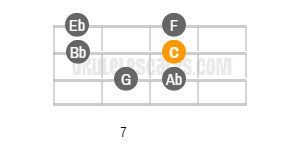 The characteristic note of this minor mode is its minor sixth, but contrary to the Phrygian mode (where we also find this minor sixth), here we have an added second major. 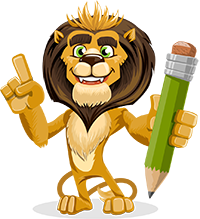 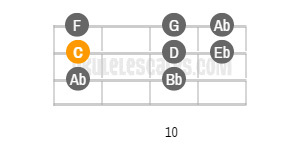 It will be used on various minor chords, except those including the sixth major. 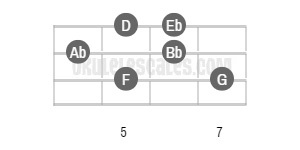 Notice on a minor blues progression (lm > lVm > V), if it is normal in theory to play the Aeolian mode, some guitarists will prefer to play the Dorian mode on the Im chord. 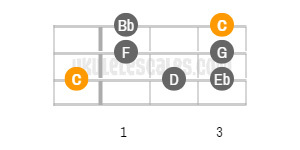 You'll find below the 5 different positions/shapes of the C Aeolian Uke scale in Standard Tuning (gCEA), along with their ascending tab patterns.